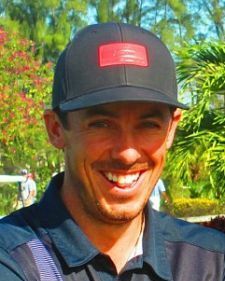 WELLINGTON, Fla. – Jon Curran of Jupiter, FL, followed a course record 63 on Saturday with 65 Sunday and a three-stroke victory on the East course at Wycliffe Golf & Country Club, his second in a row on the Minor League Golf Tour. He had won on the second playoff hole Tuesday at Jacaranda Golf Club in Plantation. At 128 here, Curran outlasted Ben Taylor of London, England, who scored 66-65—131. Evan Harmeling of North Reading, MA, matched Curran’s day-old record by closing with 63 to finish third at 132. Hamerling beat Curran by two Stableford points last Monday (April 1) on the Estate course at PGA National in Palm Beach Gardens. 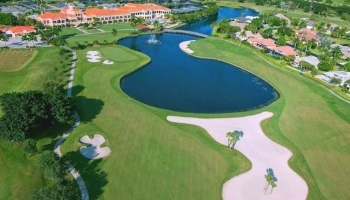 The previous course record of 65 was held by Paul Rifenberg, the Director of Golf at Wycliffe Golf & CC. Curran earned $2,000 from the $12,140 purse and an additional $433 from an optional bonus pool to raise his career MLGT earnings to $30,548 since September, 2012. He had only one bogey in each round enroute to his ninth MLGT title, at the first hole Saturday and the ninth Sunday, both par-4's. 17 of the 43 players chose to enter the optional $200 Qualifying School Contest presented by Joey D Golf. Curran won the $5,000 bonus to pay for his Q-School entry fee later this year. Brant Peaper won the 2nd Day Shootout with a score of 66. He earned $214 for the win. A big thank you to Wycliffe Golf & CC and their members for hosting this event and Joey D Golf and ClubCraft for sponsoring the Qualifying School Contest. WELLINGTON, Fla. - Tuesday's winner Jon Curran picked up where he left off with 10 birdies to offset 1 bogey. His 9-under par 63 set a new course record on the east course at Wycliffe Golf & Country Club held by Wycliffe's Director of Golf Paul Rifenberg. Curran won on the 2nd playoff hole earlier this week at Jacaranda Golf Club after he and Max Buckley tied at 66. Five players are tied for 2nd at 66 on a good day for scoring at Wycliffe including recent Monday Qualifier Contest winner Joshua Rackley. There were two skins out worth $310 a piece. Click on any of the $ links under the skins/total column to view the skins results. 40% of the field earns a check. EAST COURSE. The field is limited to the first 48 players that sign up. Groups will be in twosomes off #1 and #10 at 12pm. Caddies are allowed but must walk due to cart restrictions.